The Springville Museum of Art Royalty is a position of prestige, honor and opportunity in Springville. It is a tradition that has been carried and continued for many years and is a part of Springville’s culture. 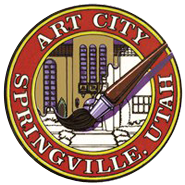 The electing of Art Royalty began in 1907 for the students at Springville High School. In the early days, the junior high and high school were combined, and the students would raise money to purchase their favorite painting or sculpture for the Museum’s Permanent Collection. 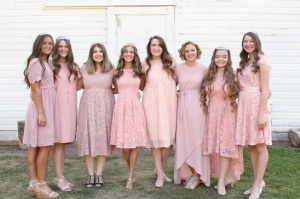 A young lady was nominated from each class, and the class that raised the most money would also get to have their representative as Art Queen. The Art Queen winner would present the chosen art piece in an honorary assembly. Today, those competing for Art Royalty are required to fill out applications asking about their school and extracurricular activities, service, involvement in arts-related activities and how they would promote the Museum as a member of the Art Royalty. The applications are submitted to the Museum and the finalists are chosen. The finalists and their parent are then invited to a brunch. There they will give a presentation on an artwork of their choice, from the Museum's permanent collection, in front of a panel of judges, and then participate in a private interview with the judges. The Art Royalty is then announced at the Annual Art Ball held at the Museum in May and will serve on the Royalty for a 12 month period.